An old friend of ours found a few photos laying around her office and sent them to us. 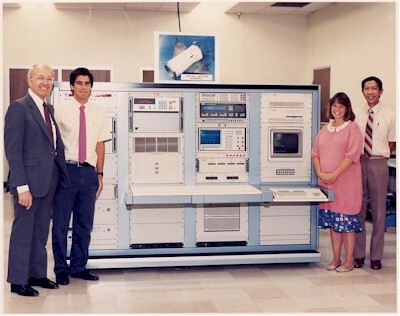 Here's a nice shot of Susan with three of her engineering friends back in 1988. Looks like they're pretty proud of that machine they built. In case you couldn't quite tell, that's Scotty inside her. This is probably one of her few comfortable moments of that year. Then again, maybe it wasn't.